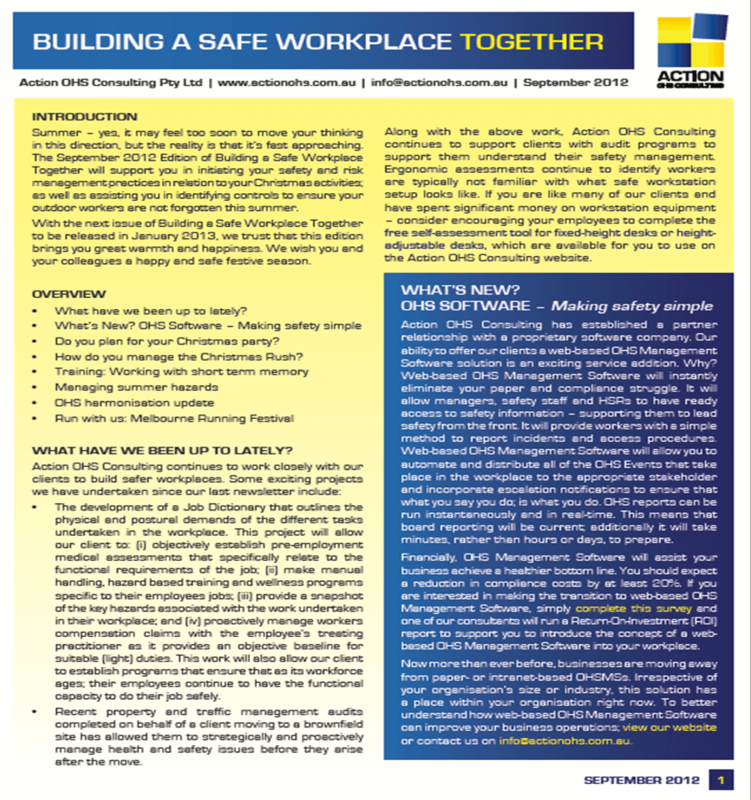 Please find Action OHS Consulting’s September 2012 edition of our 4-monthly newsletter Building a Safe Workplace Together. In this edition we introduce the way forward in OHS Management through Software. We have also included information to support you better manage summer-based workplace hazards and your Christmas events. In line with our May edition, there is an article on Training and an OHS Harmonisation update which may interest you. To stay up to date with topical health and safety news and events please “Like us” on Facebook or “Follow us” on Twitter. If you would like to be placed on our future mailing list please contact us.